WARNING: If you have a sensitive stomach and are strongly affected visually, then I suggest you take caution as you view this post. 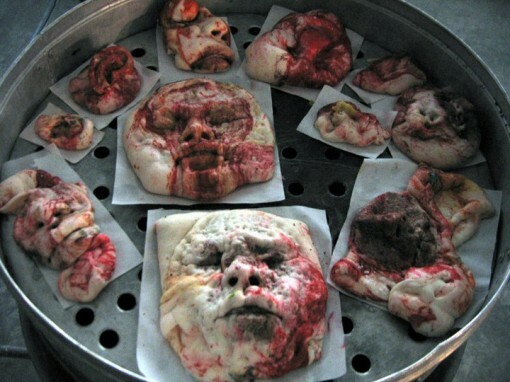 So what’s with the idea of zombiecaplypse-compatible bread? It doesn’t take a rocket scientist to figure out that it’s not really all about providing bread that can help you survive in case the zombiecalypse does happen. One look at that lead pic, and you get the feeling that it’s more about art applied to breadmaking. 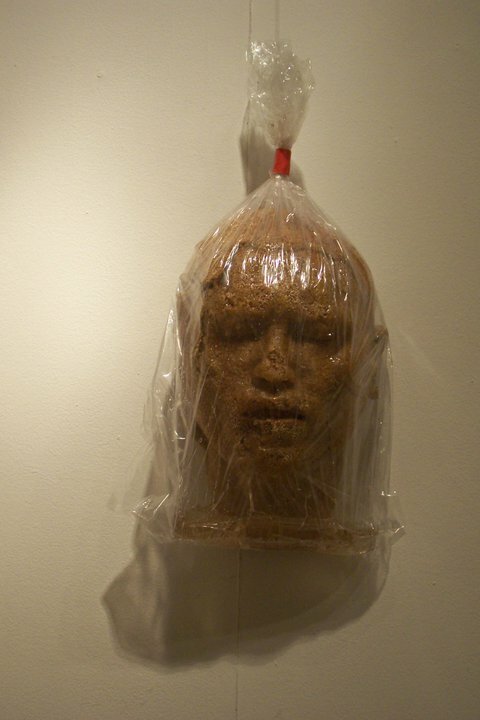 The kind of art that will make you go into a zombiecalypse frenzy, or throw up your breakfast. Thai artist Kittiwat Unarrom is making a killing with his work: special bread that is shaped and designed to resemble body parts. That’s not so impressive, is it? Think again. Unarrom has mastered his art, and his bread looks so lifelike that you just might not want to take a bite. Unless you’re gross like that. Believe it or not, those things can actually be eaten. As a matter of fact, Kittiwat Unarrom has named his Thai shop “Body Bakery”, and customers just can’t seem to get enough of his zombiecaplypse-compatible bread. They even stand (or sit) there while the artist does his work. Whether they actually feel comfortable or they have to hold down the contents of their stomach, I have no idea. One thing is for sure, though: Even though my stomach turns at the sight of the zombiecaplypse-compatible bread (seriously, I couldn’t go through all the photos), I think Body Bakery is a must-visit the next time I visit Thailand. Check out Kittiwat Unarrom on Facebook.